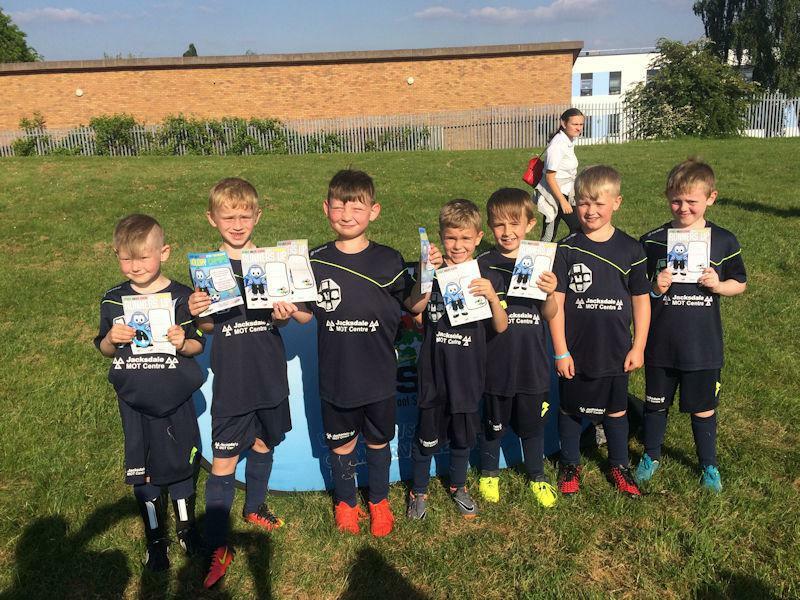 Our Year 2 boys went along to the KS1 Football Competition at Aldercar High on Tuesday night - a lovely sunny afternoon. They played six games altogether. Three in the first group stage in which they drew 0-0 with Heanor Langley, and then won 1-0 and 3-0 against Coppice Primary and Langley Mill Infants respectively! This meant that we progressed to the top 4 to play off for the chance to win the competition. We came up against Coppice Primary once again, who we beat 1-0 in a close game, but we then lost 3-0 to the eventual champions Corfield Infants, before drawing 1-1 with Richardson Primary to finish as runners up overall. The boys did themselves and our school proud with the way they played and behaved throughout the afternoon. They also looked fantastic in their brand new kit sponsored by Jacksdale MOT Centre which was provided to us by Owen Oxley and Full Reptile. Big thanks to all parents who came along to support too!